Quick Quotes' Sheer Joy Collection! I love the colors of this collection. The colors and patterns are unique and make such great statement. 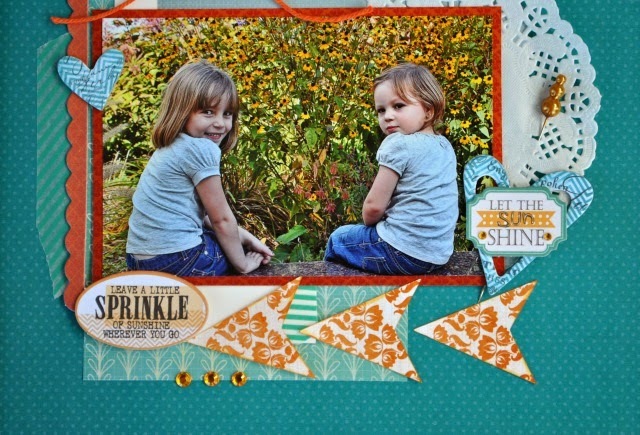 The papers really brought the color of the flowers in the photo and made the two little cuties the center focus. Rusty Nail PowderPuff Chalk Ink. 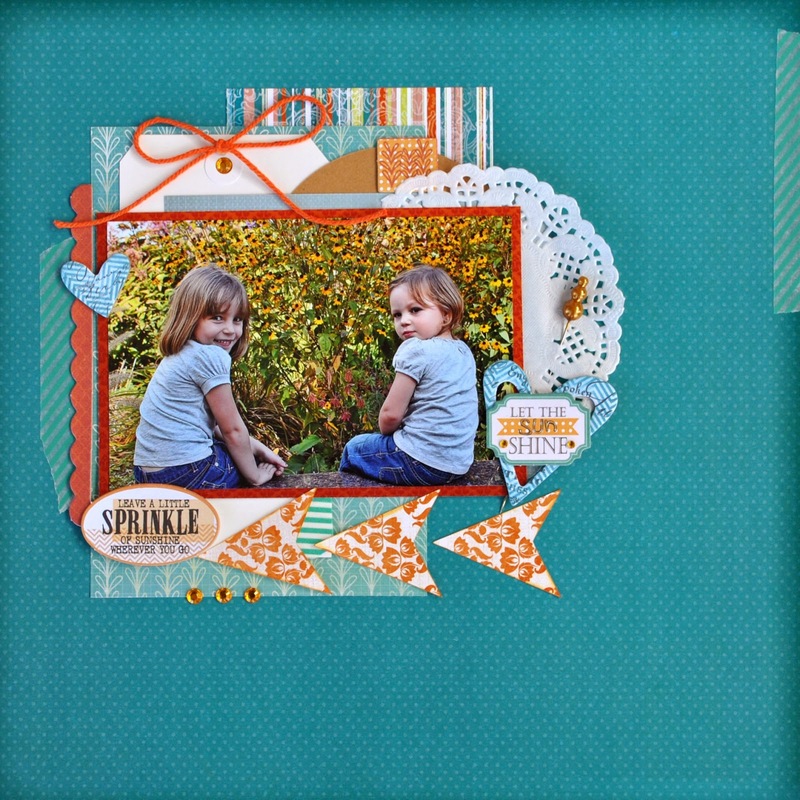 Lots of layers and few left over embellishments from our Want2Scrap swap and my layout was complete! I love the little chipboard pieces that say "Let the Sun Shine In" and "Leave A Little SPRINKLE of sunshine wherever you go". These little girls bring lots of sunshine!